Posted: Sun Jun 01, 2014 5:10 am Post subject: Does this look normal? 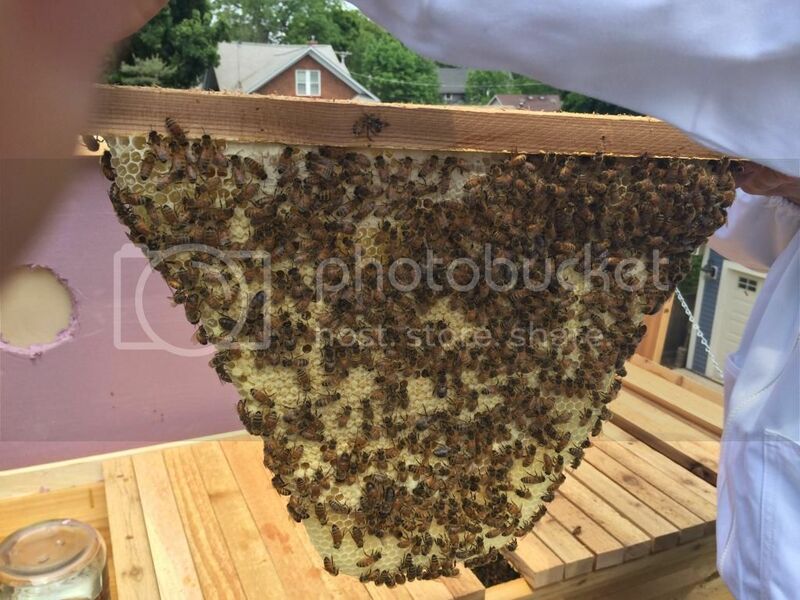 First time bee keeper with HTBH. Installed a 3lb package with queen (was told it was an Italian) about 6 weeks ago. It has an observation window that I peek into about every couple of days. The other day I decided to remove one bar to take a peek. I can't find anyone around that is a proponent of HTBH so any questions I have I bounce of a conventional keeper (has about 140 lang hives). Although he is patient with me, he has no understanding of the HTBH. Since I can't figure out how to post a picture, I won't. Anyway he looked at it and it appears that one full bar has about 35-40% drone brood and he said he would scrape it off. Any suggestions? Or is there a time to remove all the bars and look at everything? 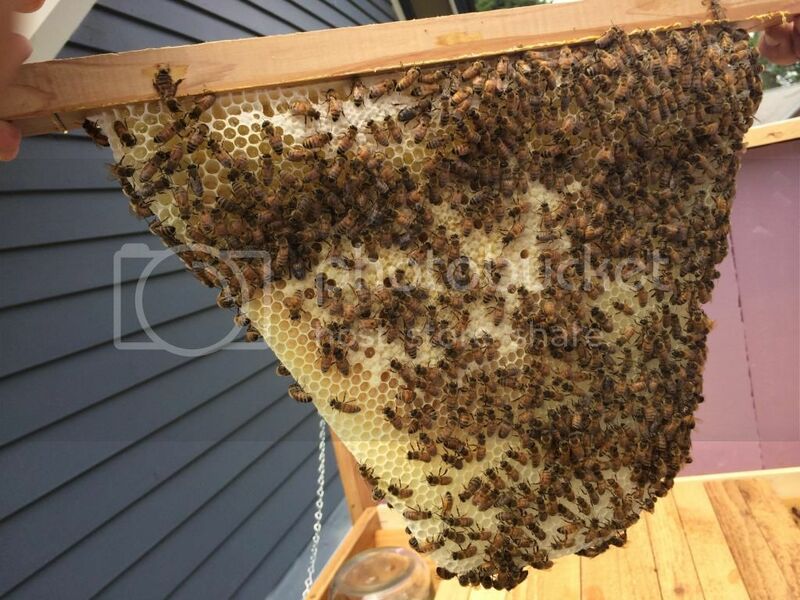 I'm not an expert by any means but I do know that most conventional beeks dislike drones, seeing them as useless consumers of the honey they want to harvest, so they remove drone brood. You have to ask, though, if drones are useless, why would bees raise them? 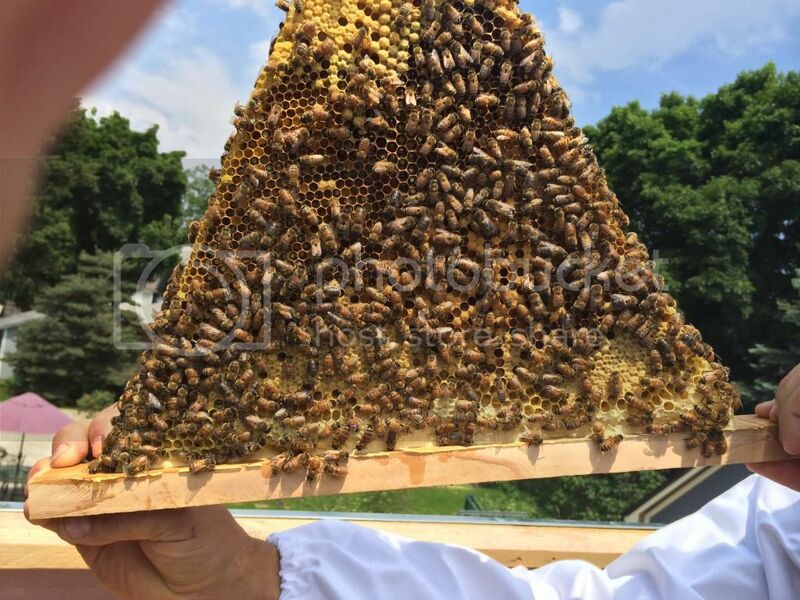 If you subscribe to natural beekeeping you work on the principal that bees do what they need to do and, if they are raising drones, they need to raise drones - even if we're not sure why. 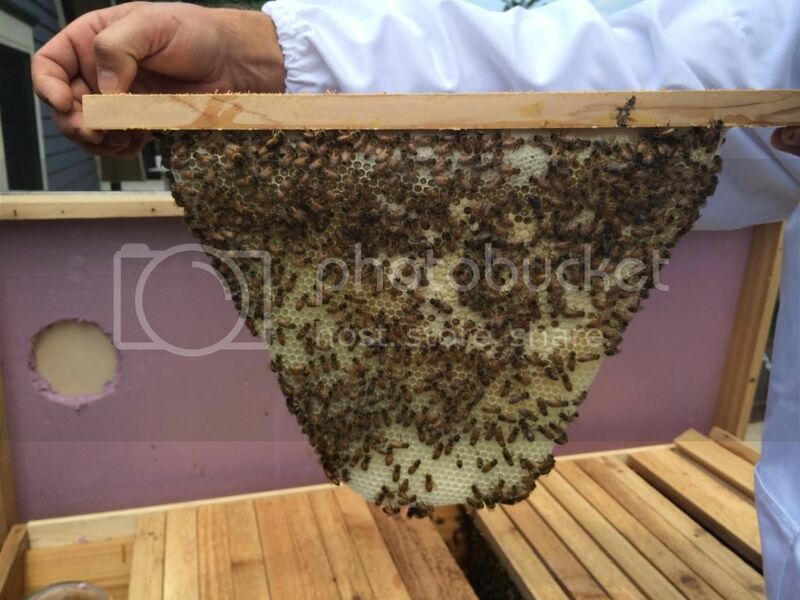 (There are various theories - queen mating, of course, but also, keeping brood temperature stable has been suggested). I'm sure you will get more experienced replies, but I doubt you'd be told to kill drones on this forum! Posted: Sun Jun 01, 2014 5:55 am Post subject: Re: Does this look normal? ..... it appears that one full bar has about 35-40% drone brood and he said he would scrape it off. Any suggestions? Or is there a time to remove all the bars and look at everything? What was in the rest of that comb? Nectar? Pollen? Worker brood? I run Langs in a natural way and don't worry about drone comb. 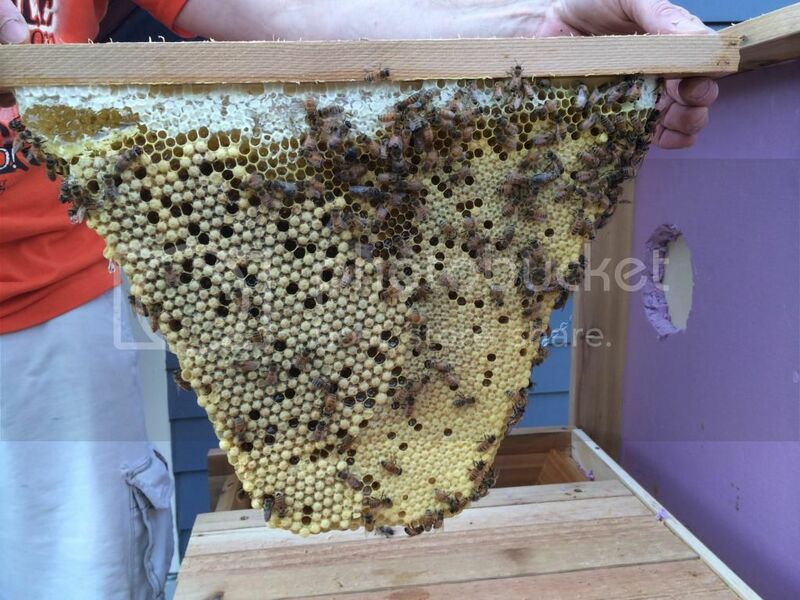 Contrary to popular belief it's never enough to worry about and is used by the bees as honey comb after they emerge. In your world of varroa infestations I have no experience but if resistance to the mites is a genetic trait then killing drones is counter productive as they are the real source of genetic variation. Posted: Sun Jun 01, 2014 12:04 pm Post subject: Re: Does this look normal? Honey bees, recognizable as such, have been around for about 22 million years. Therefore, a good rule of thumb, unless faced with the most extreme of circumstances, is to assume that they know what they are doing and that what they are doing is in their interests. Now, of course, allowing the bees to do what is in their interests (making more honey bees) may result in a lower harvest of honey than might be the case if we force them to do what is in our interests (making more honey). But, it stands to reason that there will be a price to pay for such human manipulations and that price is the overall health of the bees in our hives. And, of course, if everyone does it, then that price will be the overall health of the bees as a species. In short, there's no such thing as a free lunch. None of which is to suggest that a hive can or should, in all circumstances, be left to it's own devices. Rather, to reiterate, I'm suggesting that it is a good rule of thumb and should only be veered from as circumstances require. Where the line is specifically drawn with regard to those requirements is a matter of personal judgement, I guess. But, for me, getting rid of drones that the bees, for their own reasons, have seen fit to produce is on the wrong side of it. These are the things I expected to hear. 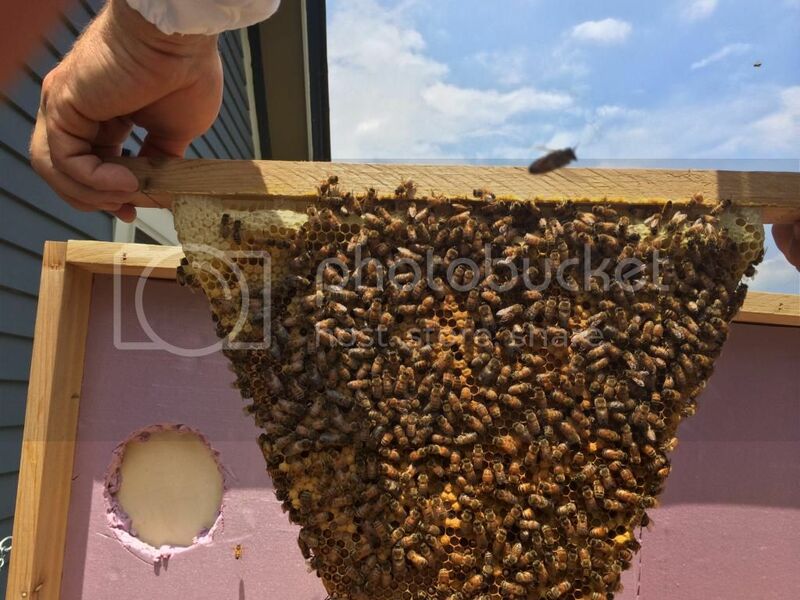 As to answer the question what was on the rest of the bar, there was about 1-2 inches of honey across the top and he said the rest of the comb had worker brood he believed. He did not come out see it, I sent him a picture. Is there a time to do a full inspection? if your using smoke on them, I'd let them settle for a few days before going in again, drone brood is needed by the bees otherwise they wouldn't make it, they know better than anyone, even your so called bee keeper friend, you really do need to do full inspections, otherwise your asking for advice without giving all the facts, a bit like reporting you car stolen, but without times/dates/location,colour and plates on car? I will work on posting pics. I did not use smoke and have no intentions of ever using it. Infact I don't even have a smoker. So, I went in there today and removed every bar, had my 9 year old take a picture if both sides and looked at each one for about 20 seconds and reinstalled each bar as I went through. Didn't seem to bother them too much. It was actually much calmer than I anticipated. From what I saw, it appeared that there were a couple of bars with some drone brood and pretty much the majority of the rest if bars seemed to have mostly worker brood. Brilliant B. Can't wait to see the pics. I've just started out as well but I've gone down the Warre route and so am very interested in other people’s experiences of the various types of top bar hive. the above link is a picture of the comb I first had questions about. I will post more in an effort to get a broader idea of how the colony is doing. If anyone gets a chance to check these out I would love to hear any comments and feedback. I see a lot of worker brood, in a good pattern. From the pictures posted, there are more workers than drones, and it's a healthy amount of workers, in a good pattern.